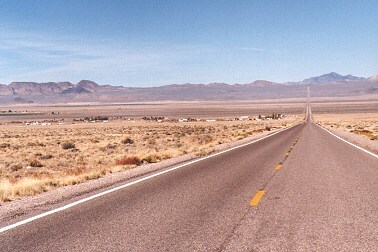 Nevada State Highway 375 stretches for 98 miles from US-93 in the southeast to US-6 in the northwest. It crosses three large high desert valleys in south central Nevada: Tikaboo Valley, Sand Spring Valley and Railroad Valley. Except for a couple of ranches, the town of Rachel is the only settlement along the way. 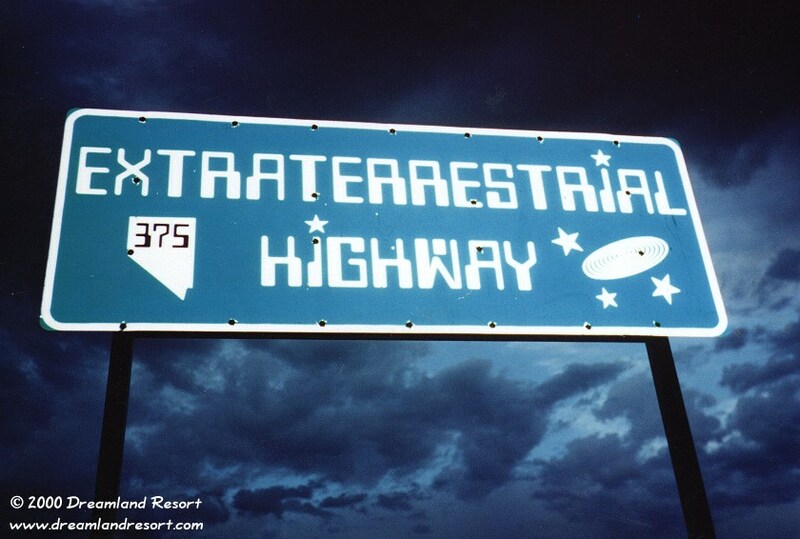 In April 1996 Nevada State Highway 375 was officially named the Extraterrestrial Highway for the many UFO sightings along this lonely stretch of road. 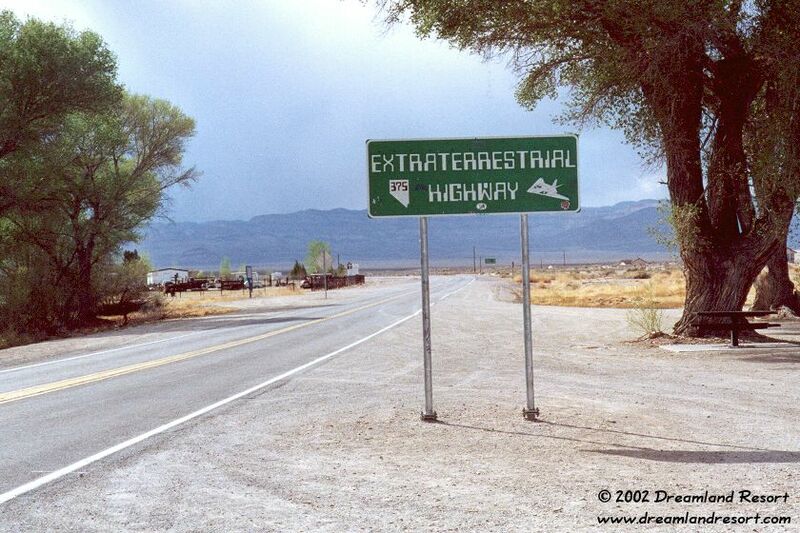 The highway is close to the mysterious Area 51, a super-secret Air Force test facility, and in the 1980's and 1990's there have been many sightings of unidentified objects near the base. Even today visitors and locals alike often see strange lights in the night-sky while driving down the highway. The E.T. 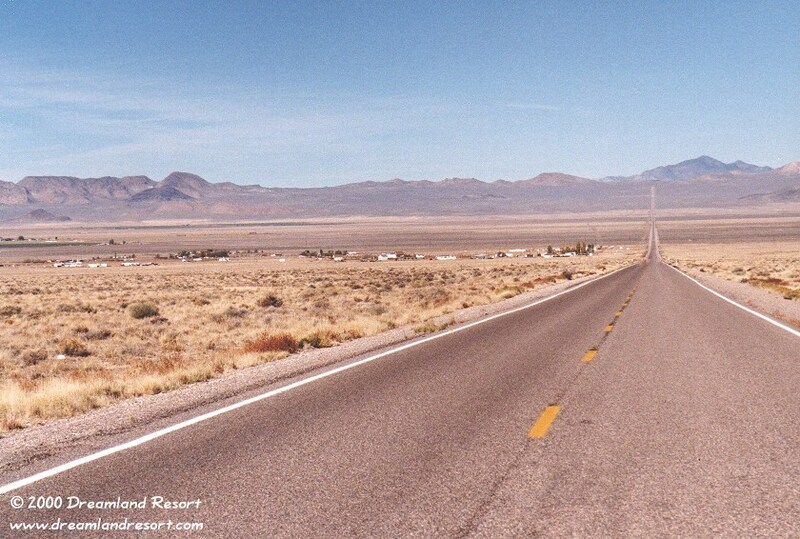 Highway can easily be visited in a day-trip from Las Vegas. 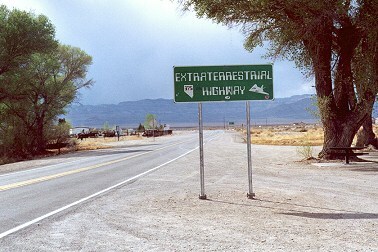 Or make it a two-day round trip, coming up on US-93, then travelling the full length of the E.T. 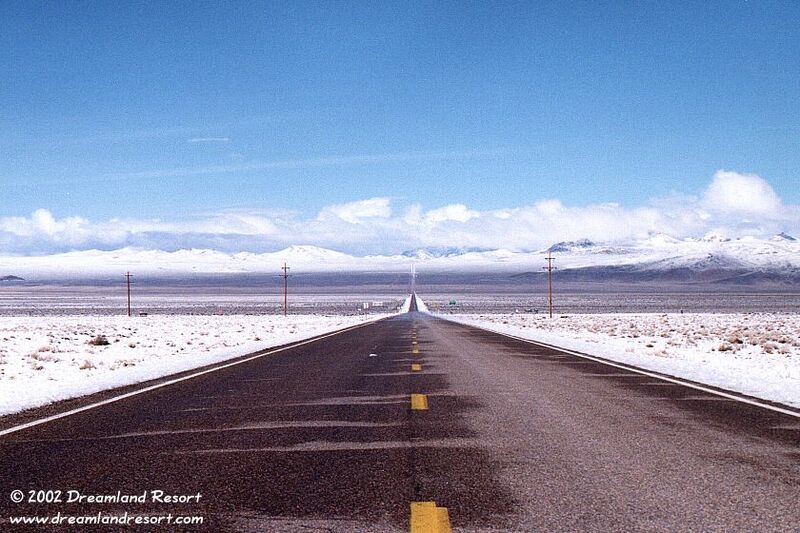 Highway from Crystal Springs via Rachel to Warm Springs, and return to Las Vegas via Tonopah and US-95. This will give you the opportunity to explore some of the nearby places of interest on the way. And if you stay overnight at the Little A'Le'Inn in Rachel, or camp nearby, you get to see the most amazing night sky, far away from the light-pollution of the cities. Please see our maps section for maps and driving directions. The E.T. 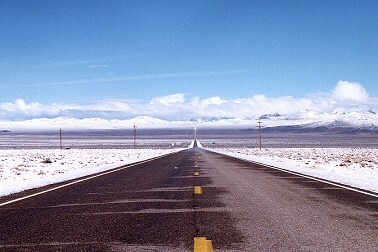 Highway is also the fastest connection between Yosemite National Park in the west and Zion National Park and Grand Canyon North Rim in the east. This brings many visitors here, especially during the summer months, and reservations are highly recommended if you are planning to stay at the Little A'Le'Inn, the only bar/restaurant/motel/trailer park along the highway. Please note that most of the E.T. 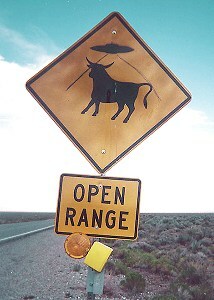 Highway is open range. This means that there is a good chance that you will see some cows crossing the highway, or standing in the road. At night the cows are very hard to see, and each year there are several accidents with vehicles hitting cows. Please adjust your speed at night and if you see cows near the highway. 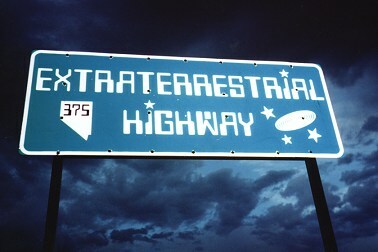 Nevada State Highway 375, officially named the Extraterrestrial Highway for the many UFO sightings along this lonely 98-mile stretch of road. Rachel is the only town along the highway. Both photos facing northwest from Rachel towards Queen City Summit. with US-93 at Crystal Springs. Sign at the north end, near Warm Springs. With friendly permission by Connie and David.